See a lower price elsewhere? Contact us! 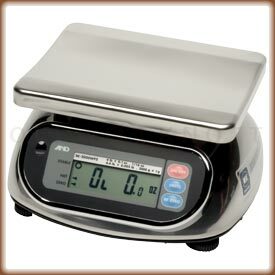 Fast, accurate and easy to use portable scales. Platform Size 9.1" x 7.5"
Scale Size 5.75" x 10.5" x 11"
Class III NTEP Approved Legal For TradeThe National Conference on Weights and Measures certifies the SK Series SK-5000WP Legal for Trade with Certificate of Conformance Number 98-086A3. So, you can count on getting accurate readings time after time. Perfect for stores and markets where items are sold by weight. This Scale Is NSF CertifiedThis compact washdown scale has earned NSF Certification. This means NSF International has reviewed this scale and determined that it complies with relevant NSF standards. IP 65 Water Resistant HousingThis compact bench scale has a water resistant housing with an IP (Ingress Protection) rating of 65. This means the SK-5000WP is protected from dust and low pressure water jets from all directions, as well as, corrosion, sleet, rain and more. So, if ya want to spray off the A&D SK-5000WP when it gets dirty, go right ahead. Temperature CompensatedMost digital scales will give slow or inaccurate readings in temperatures below 65°, or above 85° Fahrenheit...not this scale. The SK5000WP operates just fine in temperatures as low as 14°, or as high as 104° Fahrenheit. This is perfect for use in kitchens, near ovens, or in refrigerated areas. Battery Operation For Portable WeighingYou won't have to worry about searching high and low for a wall outlet to plug this wash down scale into. The SK5000WP operates on 6 "D" batteries giving you up to 1200 hours of weighing. Programmable Auto Off FeatureIf you've ever had your scale turn off on ya in the middle of important measurements, or run out of batteries because ya forgot to turn it off, you'll realize what a blessing this feature is. You can program the SK-5000WP to turn off automatically after about five minutes of inactivity, or to stay on until ya turn it off yourself. Easy CalibrationYou'll have no trouble at all calibrating this washdown scale. You'll just need to pick up a 5 kilogram calibration weight, (not included) to get the job done. Removable Stainless Steel PlatformThe SK-WP has a durable stainless steel weighing platform to make cleanup a breeze. Stainless steel is great because it doesn't scratch easily and keeps its shine without rusting or tarnishing. Liquid Level IndicatorThis very handy feature will help ya quickly and easily get your scale nice and level. A level scale is important for getting the most accurate weight readings. Tare FeatureThe tare button on the front of this digital scale can be pressed to "zero out" the weight on the scale. You can then add more weight, and the display will only show the weight of the items you're adding. This sure is useful when ya want to use an expansion tray to weigh your things, or if ya want to get separate weights of multiple items. 2 YEAR MANUFACTURER'S WARRANTY!The A&D SK-5000WP compact washdown scale is covered with a 2 year warranty from A&D Weighing against defects in material and workmanship. 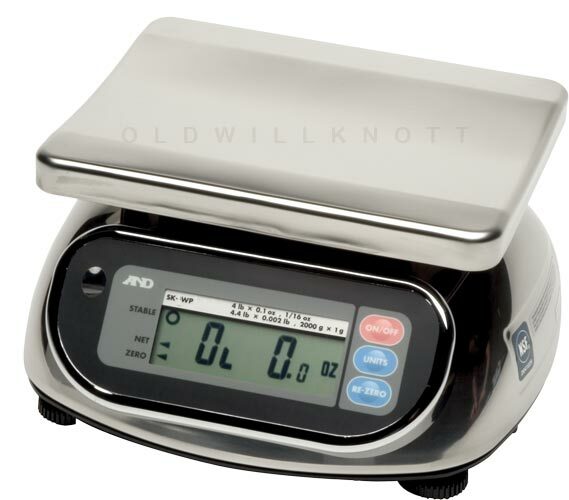 The old scale we had from AnD was discontinued. This is the new model. 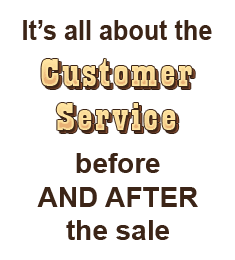 VERY pleased with the product; always a confident purchase with AnD quality items.